It will soon be the time for the 2019 KCA and it’s gonna to be stellar. So get ready for the big show on March 23, 2019. 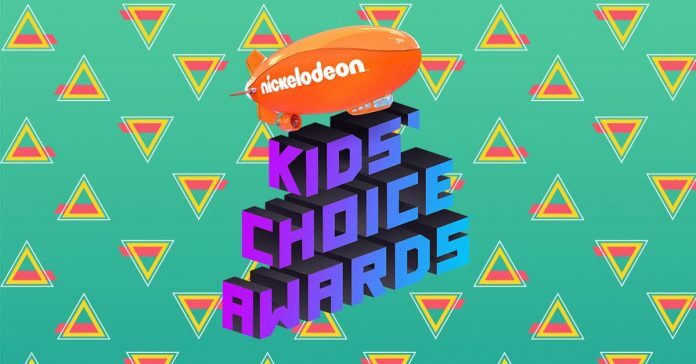 This year again, Nickelodeon is giving one lucky winner and his/her family a chance to experience the Kids’ Choice Awards in L.A. with the Nickelodeon Kids’ Choice Awards Sweepstakes 2019. Visit www.nickkidschoiceawardssweeps.com and enter once per day through February 25, 2019 for your chance to win the grand prize valued at $4,000. To enter the Nickelodeon Kids’ Choice Awards Sweepstakes 2019 you must be: (i) a legal resident of one of the fifty (50) United States or the District of Columbia; (ii) at least twenty-one (21) years old at time of entry and the parent of a child between the ages of six (6) and seventeen (17) years old at the time of entry; and (iii) a valid video subscriber of one (1) of the National Cable Television Cooperative, Inc. member cable system operators participating in the Sweepstakes at the time of entry. The Sweepstakes begins at 12:00:01 a.m. ET on January 24, 2019 and ends at 11:59:59 p.m. ET on February 25, 2019. One (1) grand prize is available to be awarded in this Sweepstakes. The Grand Prize consists of a trip package for Grand Prize winner and up to three (3) guests to Los Angeles, CA. (i) roundtrip coach airfare for GP Winner and up to three (3) Guests from the airport nearest the GP Winner’s residence (as determined by Sponsor) to Los Angeles, CA. (iv) four (4) general admission tickets for GP Winner and Guests to the 2019 Kids’ Choice Awards live event scheduled to take place on March 23, 2019. Total Approximate Retail Value of Trip Package is $4,000.00.